Are you trying to decide between a pool for aquatic exercise or a spa for relaxing and unwinding? Well, why not both? With the Endless Pool, you can relax in your hydrotherapy seats, partake in aquatic exercise, and participate in some fun water play with family and friends. On a daily basis, College swimming programs and Olympic training facilities use endless pools for targeted research and training. Water exercises are the best option for low-impact workouts to advanced workouts, that’s why the Endless Pool is a popular choice for Olympic swimmers to recovering patients. Why choose the Endless Pool? The Endless Pool is not only great for athletes but an excellent option for people trying to improve their health and well-being. The flexibility to accommodate a variety of training and fitness needs makes this the perfect workout for all ages and abilities. The aquatic therapy can increase flexibility, improve balance, alleviate pain and swelling, and promote circulation. When heating the Endless Pool, the therapeutic benefits encourage relaxation and muscle recovery. Endless Pool Fitness System gives you a spacious layout for swimming and total body fitness. The standard current makes this one of the best swim spas on the market. 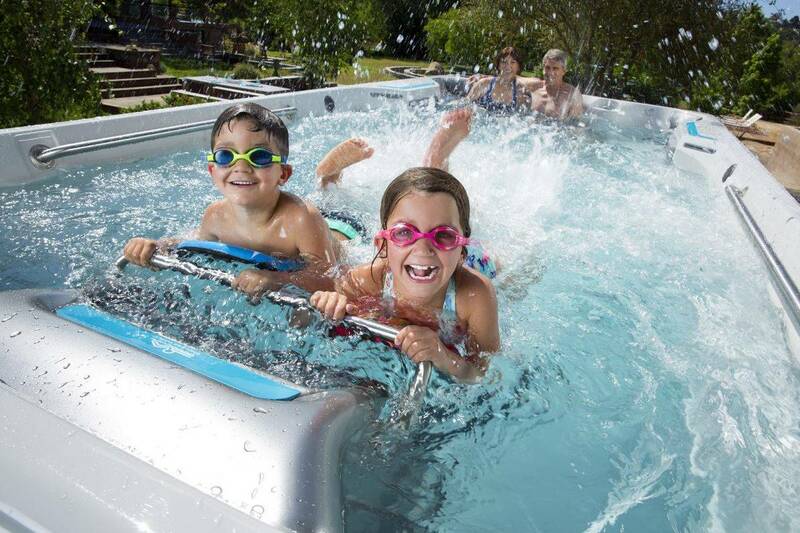 With the adjustable flow, the Endless Pool Fitness System is ideal for rehabilitation therapy. Besides the spacious floor plan, the current provides core resistance for more effective aquatic exercise as well as in-place swimming. Kick it up a notch for an intense workout or turn it down for low-impact exercises, such as: walking against the current, resistant training, underwater crunches, or water Pilates. Unbelievable large capacity with available water depths up to 58” and 17 feet long. The grandkids can splash and play at one end of the E700 while you are on the other end relaxing and enjoying the hydrotherapy seats. With three jetted hydro massage seats, you can get a massage daily in the privacy of your own home. If you’re looking for a full body massage, the E700 is the spa for you. Since seats are uniquely figured to target specific muscle groups, all you need to do is rotate through all the seats. The Endless Pool does it all. In fact, an optional underwater treadmill is available for low-pact running and walking options. 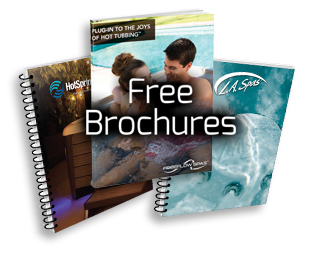 Sign up today to wet test a swim spa!